A heart-felt romantic drama with a vigorous political undercurrent, The Way We Were tugs at all the tender strings as it spans a 20 year period before, during and after the Second World War. It's the mid 1930s, and Katie Morosky (Barbra Streisand) is an energetic college student with strong communist ideals, globally oriented, embracing various causes, and politically engaged. Other than fellow-radical Frankie (James Woods), Katie is also friendless. The dashing Hubbell Gardiner (Robert Redford) is athletic, ridiculously attractive, and enjoying the carefree life of a student, often with occasional girlfriend Carol Ann (Lois Chiles). But he displays potential as a serious writer, and that along with his inherent sensitivity eventually results in something resembling a tentative friendship with Katie, before they go their separate ways. Several years later, World War Two is coming to an end, Hubbell is serving in the Navy, and Katie is working at a radio station. They meet at a party and an exhausted Hubbell crashes at Katie's apartment. That night they make love, although Hubbell remembers nothing of the encounter. Katie pro-actively pursues a serious relationship, and despite their significantly different outlooks on life, they eventually get married and move to Hollywood. As Hubbell struggles to write a movie script based on his one published book, the emerging threat of the McCarthy witch-hunt against left-leaning Hollywood talent reignites Katie's political activism, piling renewed strain on the marriage. At at its core, The Way We Were explores one of the fundamental differences in the way men and women often stumble into troubled relationships. Hubbell struggles to decide if he can accept and love Katie the way she is. Katie loves Hubbell for his potential: she wants to inspire him to become something better, and is willing to tolerate his current ordinariness to try and help him unlock his possible greatness. With the passing years they both do grow up somewhat past their college identities. Katie does mature and become more tolerant of life's joys rather than always seeking the next battle. Hubbell does give his writing career a go. But neither will change substantially, and the relationship conflict points most apparent in the initial stages of the romance persist and re-emerge, sometimes in magnified form as the theories of student beliefs give way to life's realities. The Way We Were is primarily a Barbra Streisand showcase, and she does not disappoint. The character of Katie may be marginally exaggerated, but Streisand throws herself fully into the role and creates one of the most memorable leads in the history of romantic dramas. Several scenes capture Streisand at the pinnacle of acting, not least when she slips into bed next to a sleeping Hubble and wakes him just enough to make love to her, fully aware that in his semi-conscious state he does not even know who she is. Later, after a break-up, Katie phones Hubble and begs for his companionship as a best friend, in another memorable and emotionally draining scene. Redford is no match for Streisand in the acting department, but here he does not need to be. Redford plays Hubbell as who he is, a man generally content with life, welcoming a few earnest moments but generally well aware that whether or not he worries about politics will not really matter. But Hubbell represents a project for Katie, this time involving her head and her heart. She sees him as malleable material, someone she can form into her own image of serious thinker, discussion companion, and heroic writer. That he stays true to himself, and Redford keeps Hubbell at an even keel through the years, is the most serious fault-line in the relationship. Notwithstanding the disparity in acting talent, both Streisand and Redford shine in the touching final scene, in which the past, filled with the way things were, is silently triumphant over any future. 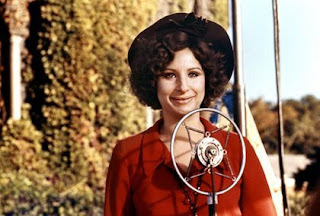 The theme song, delivered with crystal emotion by Streisand, is a classic tragic-romantic tune and underpins the key moments of the film. Slightly but not unexpectedly over-used, it nevertheless enriches the depiction of the relationship between Katie and Hubbell. The Way We Were survived a turbulent production process, the Arthur Laurents script passing through the hands of numerous writers and countless rewrites. Director Sydney Pollack finally cobbled together a product that, ironically, no one was fully satisfied with at the time. Over the years, the movie has proved to be an enduring and resplendent romance, resonating with each successive generation. For many lovers, the adversities at the core of The Way We Were remain a true reflection of the way it is.